A dip in the temperature when you are expecting to wake up to at least 85* and sunny is a total downer but when you get to wear your favorite long sleeve tee and pair it with a beautiful scarf brought back from Paris just for you, it's the perfect Parisian combo to warm up a chilly Spring day. Plus a chill, somewhat boho, casual look means I can give my hair a break and get away with another day of no washing, products or heat. 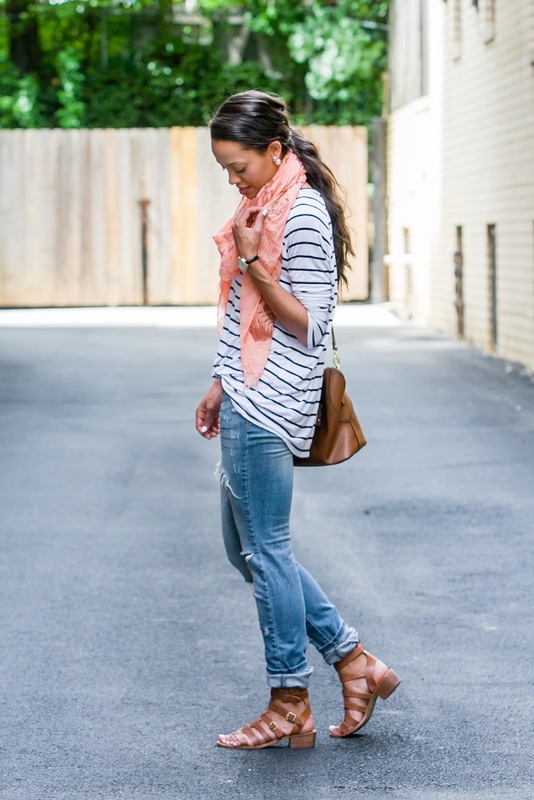 What are your favorite items to wear on gloomy spring/summer days? those jeans are amazing! 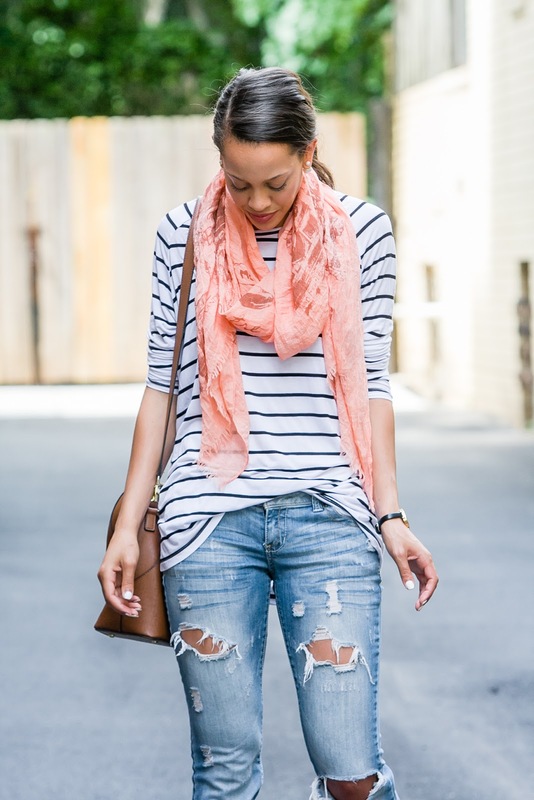 love the scarf too! I love everything about this outfit! 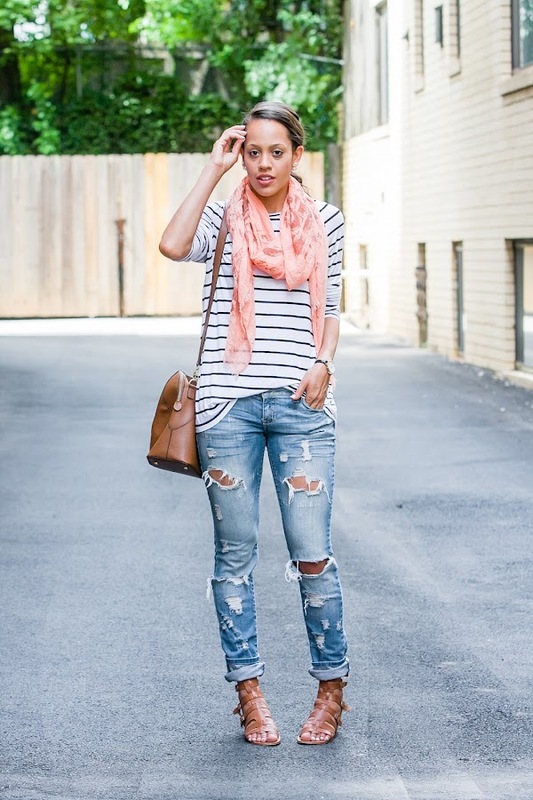 Those jeans are amazing and I love the color of your scarf paired with the neutral stripes! Seriously, you always have the best denim!! Love the Parisian vibes here - super casual!